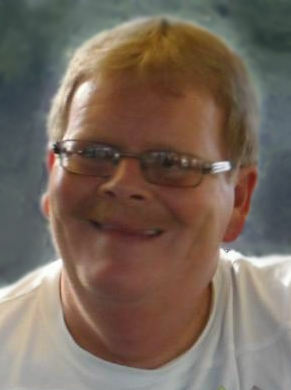 Obituary for Danny L. Shingleton | Family Care Services, Inc.
Columbiana- Danny L. Shingleton, age 62, of Columbiana, died suddenly on Sunday, January 20, 2019 at Mercy Health St. Elizabeth Boardman Hospital. He was born on May 24, 1956 in Salem, the son of the late Leroy and Ruth Jessop Shingleton. Danny was a member of the East Fairfield United Methodist Church. He had worked for Fairfield Twp. For 22 years and was currently working for the Ohio Turnpike Commission for the past 18 years. He enjoyed classic cars and attending car shows, as well as woodworking and garden tractor pulling with his son. He is survived by his wife, Debbi Morris Shingleton, whom he married on May 19, 1990; daughter, Amy Jo Watson of Columbiana; two sons, Tony (Amy) Watson of New Waterford, and Shayne Shingleton of Columbiana; two sisters, Wanda (John) Dunn of Medina, and Patty (Wayne) Lanterman of Leetonia. Also surviving are four grandchildren, Isaac, Taylor, Katelyn and Kenny. The family will receive friends on Thursday, January 24, 2019 from 4:00 p.m. – 7:00 p.m. at the Warrick-Kummer-Rettig Funeral Home, Columbiana and one hour prior to the service on Friday, January 25, 2019 at the East Fairfield United Methodist Church. Funeral services will be held on Friday, January 25, 2019 at 11:00 a.m. at the East Fairfield United Methodist Church, with Rev. Deborah Quillen officiating. Donations may be made to the family to help offset funeral expenses.